take to make value-based decisions? 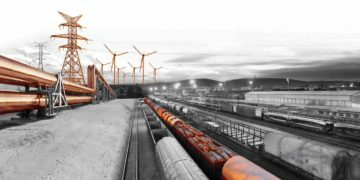 ISO 55001 and its predecessor PAS 55 set the standard for the management aspects of asset management, spanning the full life cycle of your assets. Copperleaf™ C55 provides the analytics and decision-making framework allowing your organization to build and maintain optimal asset plans taking into consideration value creation, risk tolerances, multiple financial and resource constraints, and performance obligations. It gives your organization the confidence it is achieving the highest return on investment for its assets in full alignment with ISO 55001. With Copperleaf C55, we’ve aligned our procedures with best practices outlined in the ISO 55000 asset management standard. We now have a transparent picture of all of our major asset classes, and can compare different investment scenarios for both short-term and long-term planning to help us make the best use of our resources. Overall, it’s given us greater confidence in our decision making, and our ability to plan for the future. Value: you invest in assets because of the value they contribute to your organization. C55™ includes a unique and comprehensive value framework allowing organizations to accurately express how value is defined and used to compare different investment options. Mitigating the risk of assets failing in operation is often a key value component of sustainment investments. C55 offers you a comprehensive risk framework to define and quantify multiple risk types. Alignment: each decision needs to support the organization’s strategic objectives, thereby addressing and balancing the needs of all stakeholders. In C55 every candidate investment is valued based on its alignment with your strategic objectives, allowing you to build project and program portfolios that deliver the highest value under multiple financial, timing, resource and equipment constraints. Assurance: decision making needs to be a rigorous, transparent and defensible process. C55 is an enterprise class solution including fully auditable workflows, decision-making logic and approval cycles. C55 allows you to compare planned and actual spend, resource consumption, and project benefits to ensure optimal project execution at all times. 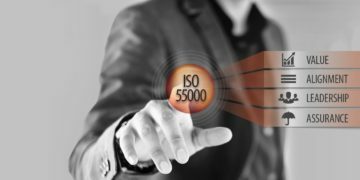 ISO 55001 insists on the need for robust risk management. C55 helps you analyse your full asset portfolio, identifying today’s risks and modeling future risk changes with time. It can highlight which assets need attention and link them to existing or future investments. Read our white paper on AIPM as a best practice of ISO 55000 to get the full story.